Our Premix recipe for dogs is perfect for those who prefer home-cooked meals and want to make sure they add the right amount of vitamins and minerals. Our premix blend combines oats with other vegetables and nutrients. 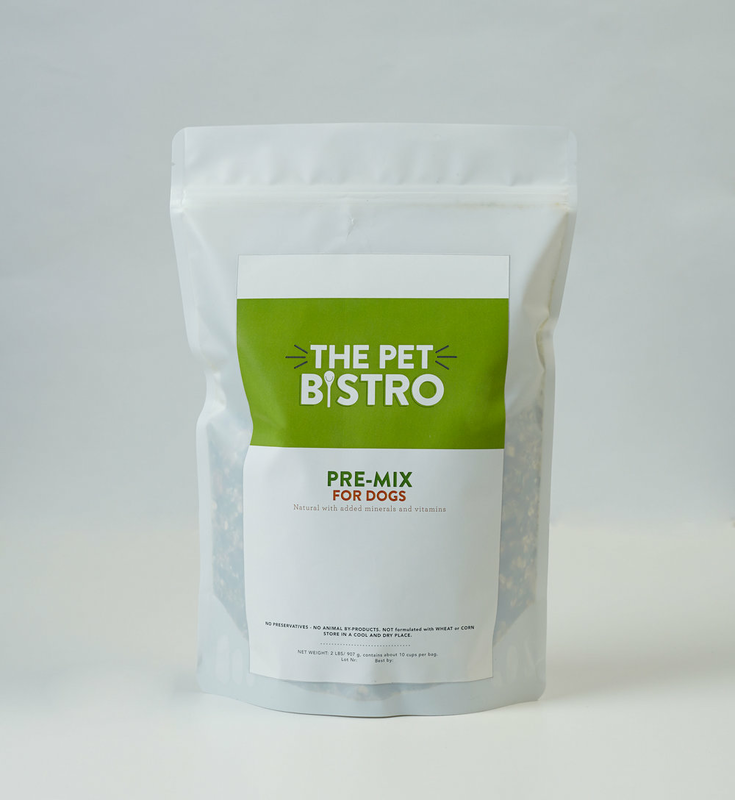 Our Pre-Mix is the perfect first step for dogs just starting their journey into the world of non-kibble food. Simply mix it up, add a protein source, and serve to your dog. Ease into getting your dog adjusted to non-kibble food. If you already cook for your dog, our Premix is to ensure your dog is getting all the vitamins, minerals, and micronutrients he needs. We use real veggies and fruits of human-grade--no corn, soy, wheat, or feed grade products. INGREDIENTS: Oats, dehydrated potatoes, flax seed meal, dehydrated butternut squash, dehydrated whole egg, dehydrated carrots, brewers dried yeast, organic alfalfa, dehydrated kale, tricalcium phosphate, organic kelp, dehydrated celery, ginger root, dehydrated garlic, zinc gluconate, iron amino acid chelate, vitamin D3 supplement, vitamin E supplement, copper amino acid chelate.